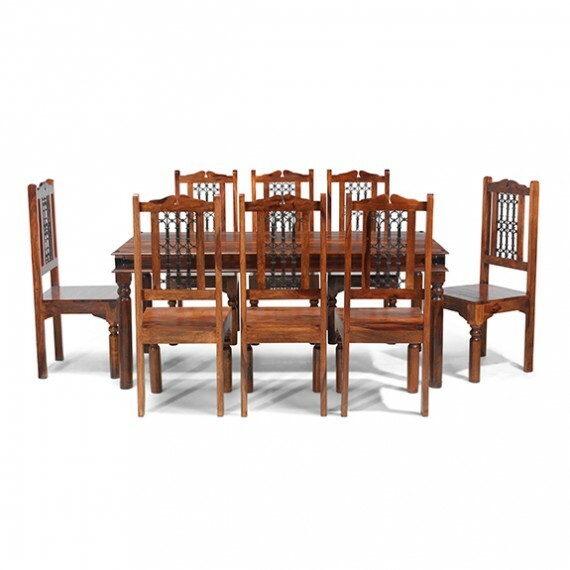 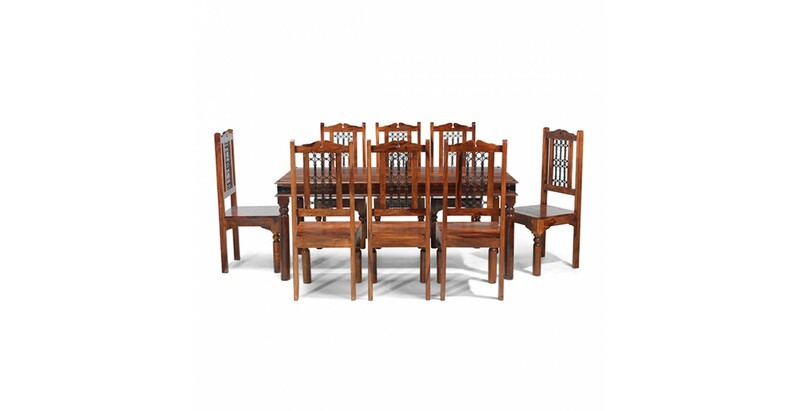 When you're sitting down at this magnificent colonial-influenced table, every meal will feel like a special occasion. 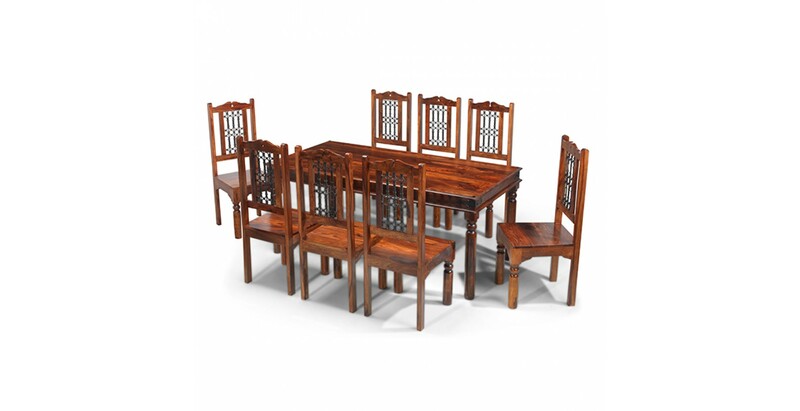 Handcrafted from Indian sheesham wood with iron studding, corner brackets and elegantly turned legs adding to its authentic charms, its rich, dark tones are brought spectacularly to life through the Wax Lacquer Finish. 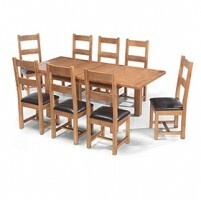 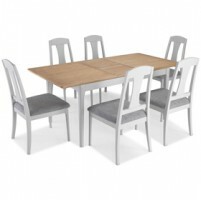 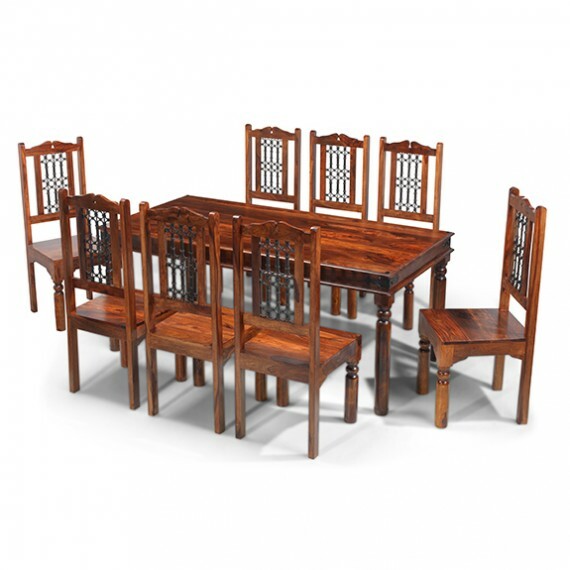 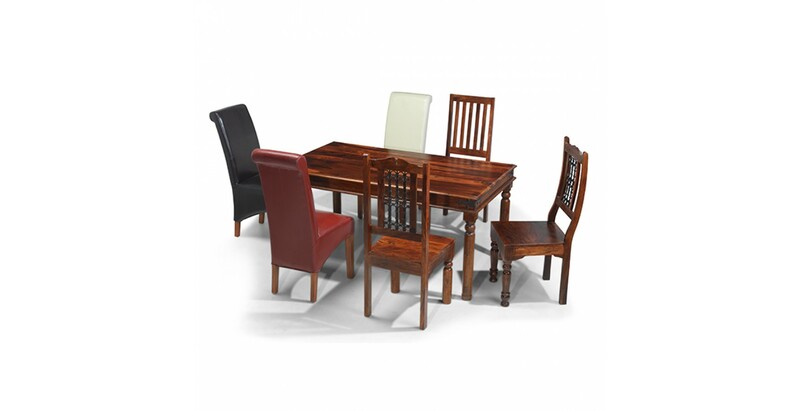 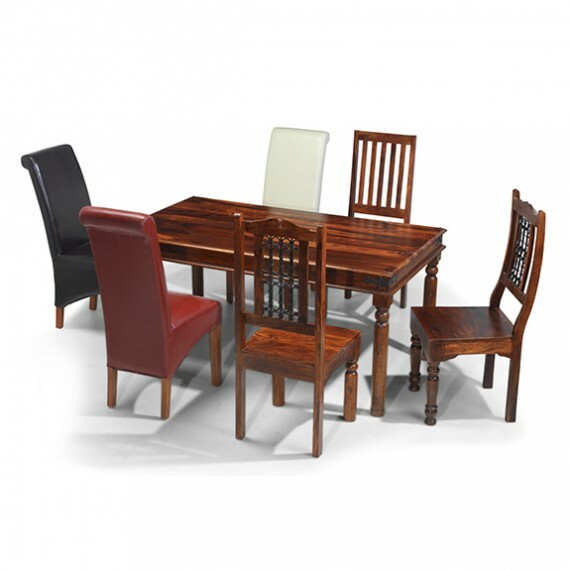 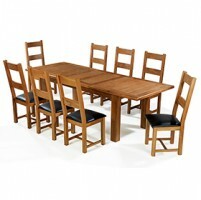 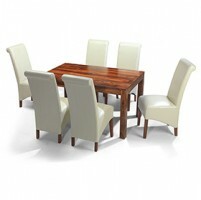 A table this impressive needs impressive chairs to accompany it, so we've given you a choice. 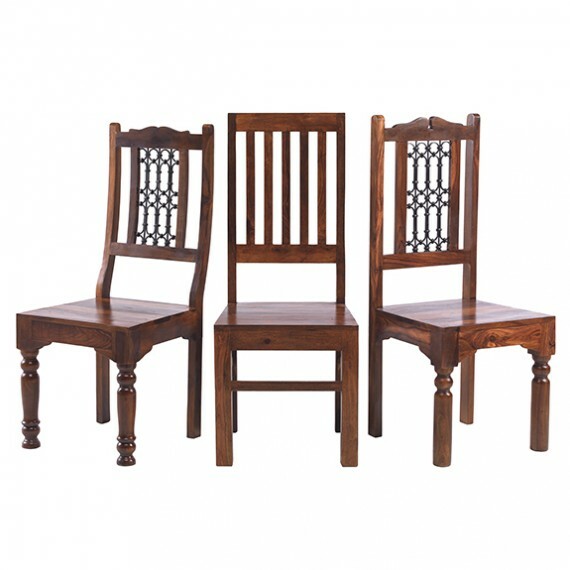 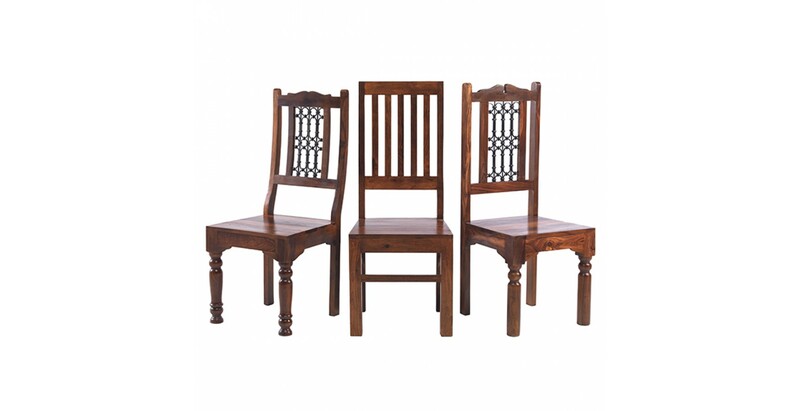 Pick from our Jali High Back Slat set if you want to keep things simple; or either our Jali High Back Ironwork or Jali Low Back Ironwork chairs if you'd like something a bit more ornate. 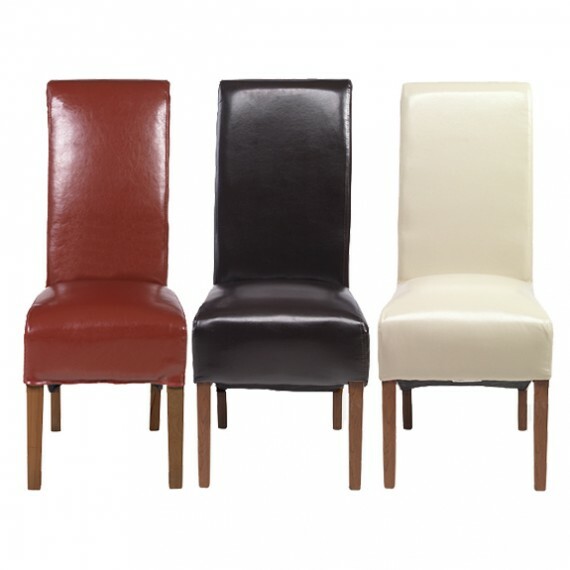 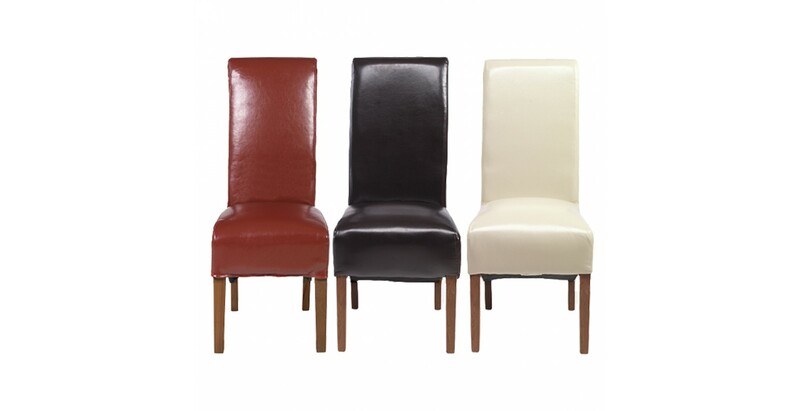 Or if you'd prefer a bit of modern luxury and comfort, plump for our bonded leather chairs in brown, beige or dramatic red.